The first of three specially commissioned short films went live this week, depicting the McLaren brand in a way never seen before as part of its 50th anniversary celebrations. 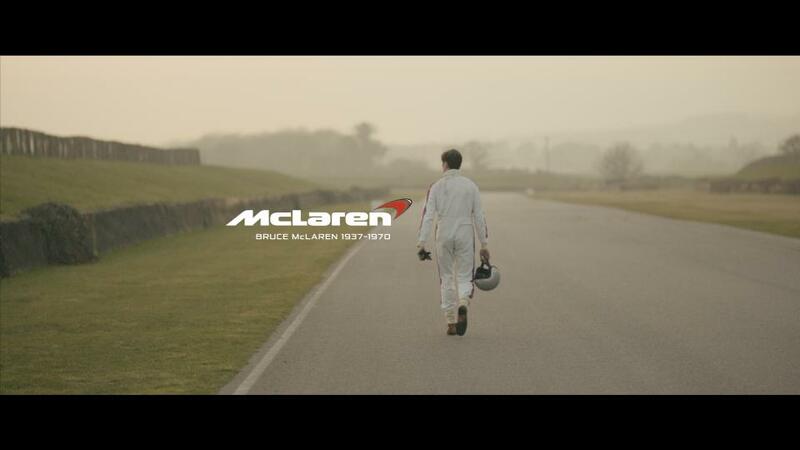 Instead of focusing on the high-tech, high-octane world of the Vodafone McLaren Mercedes Formula 1 team, or even the Group’s new Automotive division and its groundbreaking 12C and McLaren P1™, the short film sheds light on McLaren’s very human back-story – namely that of Bruce McLaren, who founded his racing team five decades ago. Ron Dennis CBE, executive chairman, McLaren Group and McLaren Automotive, added: “McLaren’s history is long and storied, but McLaren’s legacy is harder to define – and that’s because it’s still being vividly written every day by the dedicated men and women who work at the McLaren Technology Centre. It’s a wonderfully shot short film and gives a small insight into the man, the company ethos. Hope you enjoy. Parts two and three of the McLaren short film trilogy will be released in due course and promoted, like part one, via www.mclaren.com and virally through the official McLaren Automotive YouTube channel – and their Facebook page.